Aligo provides its universities partners with financial and human resources to facilitate the commercialization of technologies derived from university research. With a team of specialists in science and business, Aligo is a bridge between the academic and the market to contribute to the development of society. Bellwether Collaboratory works with local governments, non-profits, and businesses to identify cross-sector resilience strategies. We engage stakeholders in a collaborative process of modeling communities as complex systems and use our web-based software to identify and prioritize leverage points for resilience, hazard mitigation, and climate change adaptation. City of Kyoto has been ICLEI Member since 1996. As a birth place of the Kyoto Protocol, we are well-known as “Environmental Model City” in Japan. The Mayor Daisaku Kadokawa has been served as the chair of ICELI East Asia Executive Committee since Regional Executive Committee was established in 2012. We are working harder to create a sustainable society through city-city collaboration such as ICLEI Network. 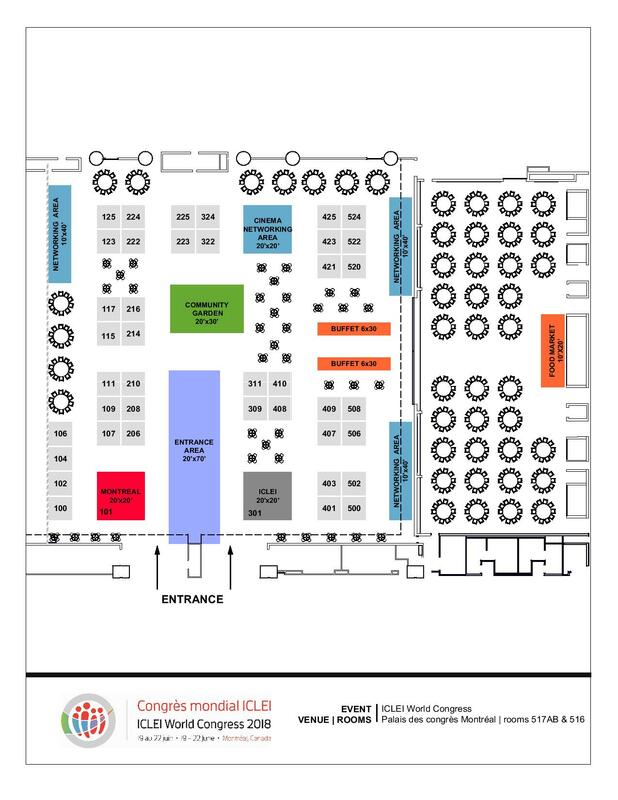 Concordia University is a public comprehensive university located in Montréal, Québec, Canada on unceded Indigenous lands. Founded in 1974 following the merger of Loyola College and Sir George Williams University, Concordia is one of the three universities in Quebec where English is the primary language of instruction. DC PRO Engineering is a recognized world leader in the fields of District Energy, Co-generation and Tri-generation & renowned sustainability leader in Green Building MEP Designs. Our services include engineering design, consulting, and project management, Combined Heat & Power Co-generation and Tri-generation, Green Building. École de technologie supérieure (ÉTS) trains engineers and researchers who are recognized for their practical and innovative approach, developing new technologies and transferring them to companies. ÉTS is home to more than fifty research chairs, centres and laboratories, which contribute to the technological and economic development of Quebec. Discover innovation in action! Écotech Québec, the Québec cleantech cluster, showcases under its pavilion eight sustainable and cost-effective solutions for local governments. From waste management to water treatment and mobility, learn more about Effenco, K2 Geospatial, Lockbird, Nordresa, Polystyvert, Sweet Gazoil, Ecofixe Technologies and Waste Robotics. ECPAR is Canada’s network of leaders in sustainable procurement. Its mission is to ensure that acquisitions of organizations generate increased socio-economic results while reducing their environmental impacts. Its approach is simple: networking and training to stay at the forefront of best practices, rigorous and operational tools, measurement, support, progress. Future Earth accelerates transformations to sustainability through research and innovation. We are a major international convenor that fosters a culture of an engaged research based on the co-design of knowledge and tools. We work to incorporate the latest research findings into government, business and community decisions and policies. ICLEI is the leading global network of more than 1,500 local and regional governments working with a diverse team of experts to build a sustainable future. ICLEI firmly believes that sustainable cities are the foundation of a more just and sustainable world and is working to make sustainability an inextricable part of urban development. McGill University is one of Canada’s best-known institutions of higher learning and one of the leading universities in the world. With students coming from 150 countries, our student body is the most internationally diverse of any research-intensive university in the country. McGill was named one of Canada’s greenest employers (2018). Montréal – Métropole en santé (Montréal Healthy City) has for mission to create healthy living environments for all Montrealers, through coaching, recognition and support of structuring and sustainable measures resulting from regional cross-sectoral mobilizations, Montréal physiquement active (MPA) and Conseil du système alimentaire montréalais (Conseil SAM). Motivo Promotions Group Inc. chose to partner exclusively with the Société de transport de Montréal. In collaboration with the STM, we are committed to offering quality products mainly manufactured here in Montréal. Ottawa Public Health (OPH) provides public health programs and services to individuals and communities while advocating for public policies that make our city and its residents healthier. OPH is a teaching health unit and works with all post secondary educational institutions in the area. Polytechnique Montréal is one of Canada’s largest engineering education and research institutions. We will showcase 1) Decision support tools in support of sustainable innovation integrating life cycle thinking, and 2) the Transition platform, offering a modern new approach to transit planning. Service du développement économique Pavilion, Montréal, city of advanced knowledge. As a city of advanced knowledge and a proven centre of expertise, Montréal draws on a network of universities and recognized experts to respond to issues related to the accelerated and sustainable development of our societies. Meet our partners and discover unique projects based on a sustainable development perspective. SSG is one of the world’s most advanced urban climate change planning consultancies. We empower cities—the vanguard of climate action—with policy, action, and decision-making pathways to low-carbon, adaptive futures while increasing energy efficiency, supporting economic development, improving community health and quality of life, and advancing equity. Univalor commercializes innovations from Université de Montréal and its affiliated health centers, Polytechnique Montréal and HEC Montréal. By fostering relationships and transactions with the business community, Univalor helps make businesses more competitive, generate revenue for research and, most importantly, to enrich society. 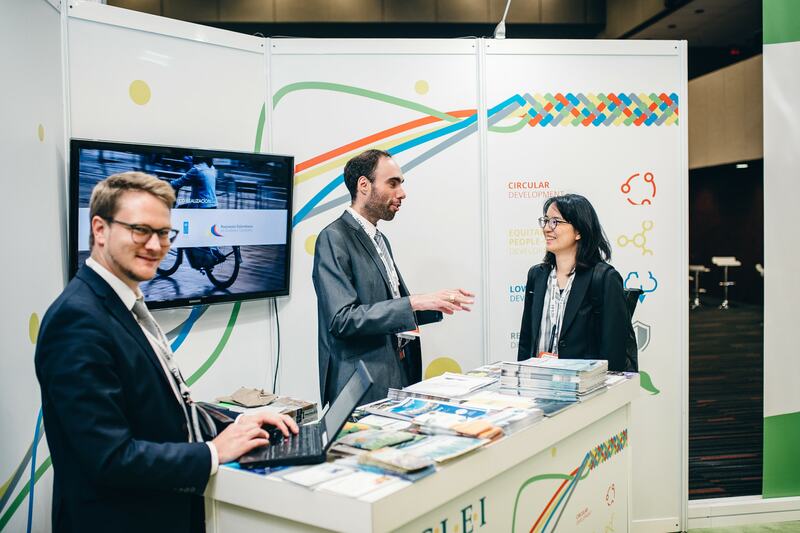 Montréal, the host city of the ICLEI 2018 World Congress, is proud to welcome its international partners to discuss, share and showcase the ambitious sustainable development projects that take place within its city limits. As a leader, Montreal influences and encourages the implementation of innovative and collective projects in the field of sustainable development. Since its beginnings in 2005, the success of Montréal’s approach is based on the commitment and achievements city, its boroughs and its many partners. WSP is one of the world’s leading engineering professional services consulting firms. We bring together approximately 43,000 talented people, based in 500 offices, across 40 countries. We are technical experts who design comprehensive and sustainable solutions and engineer projects that will help societies grow for lifetimes to come.